Have you every experienced seasons of your spiritual life that were . . .not so fresh? Where you are going through the motions of the Christian life but inside you is cesspool of destructive emotions: anxiety, self-doubt, anger, distrust. 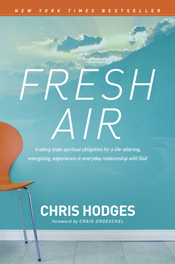 Chris Hodges, the senior pastor of Church of the Highlands in Birmingham Alabama has written a book to help bring a ‘breath of fresh air’ into your life. He aims to help us steer a course out of ‘the doldrums’– that lifeless and dull slump where there is no wind in our sails to propel us forward–so we catch the breeze and go to all the exiting places God has in store for us. Live with Eternity in mind: focus on heaven and invest your life in what has lasting significance. Adjust your attitude by focusing on ‘the positive’ and going to God with all your worries. Read your Bible with an eye to where it propels your life forward. Have a prayer life which focuses on building a loving and trusting relationship with God. 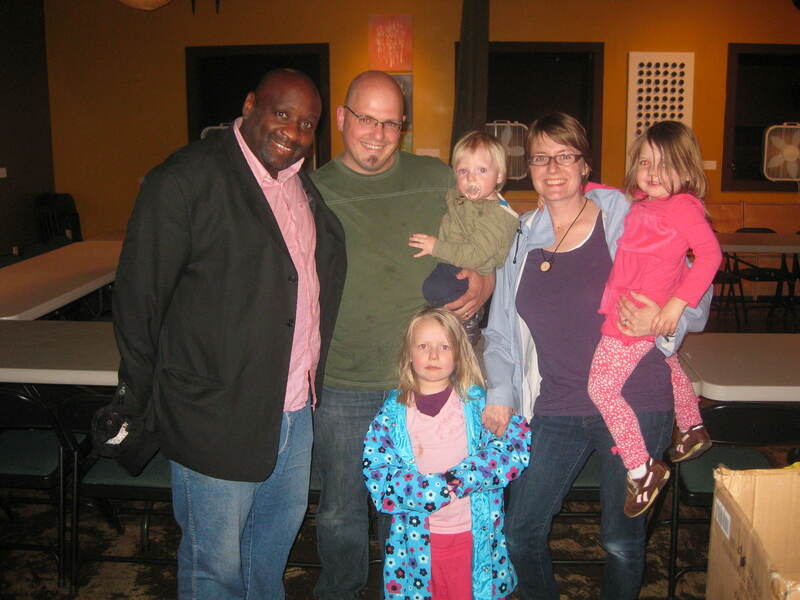 Become involved in a supportive community of faith (i.e. church). Trust God in the areas of our finances. And develop rhythms of rest (Sabbath) in the midst of your work and vocation. But Hodges ultimately says making room for ‘fresh air’ is about making room for the wind of the Holy Spirit to blow in our lives. It is the Spirit of God who leads us into all truth, commissions us and empowers us for witness and the exciting life God wants for us. Hodges tells people in the ‘doldrums’ to choose to have a better attitude. This is good advice for a lot of people, but not for people who suffer from clinical depression who despite not wanting to be as anxious, self-abasing and down-in-the-dumps as they are, cannot ‘choose’ to focus on the positive without some sort of medical intervention. If this is you, thank God for chemistry and good counseling and please avail yourself to it. There are certain parts of this book, which made me wonder if they would hurt people in a particular mental state. While Hodges ultimately sees Christian witness as the outflow of life in the Spirit, there is little emphasis through out this book on the mission of God. Honestly, my big advice to people who sit in a smelly room looking bored is find out what God is doing in your neighborhood and community and get involved. If true religion involves care for widows and orphans, find out who they are around you and find ways to love them in risky ways. This might not make you happy, but you won’t be bored. For Hodges, we get involved with God’s Mission when we spend time with him and are changed into the sort of witness who overflows with the love of God. I don’t disagree with him, but I would add that as we take risks to become part of God’s mission in the world, God changes us as we step out. 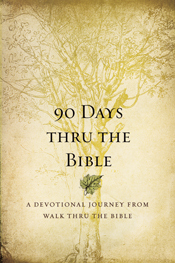 The way is made by walking and I wish this book took a more missional focus. Lastly I wonder a little bit about the ‘self-help’ tone of this book. No doubt I want a satisfying spiritual life myself, but the focus here seems highly individualistic. Even in his description of community, Hodges talks about how we need supportive people to experience fresh air in your life. I agree, living in community makes me better and I love the wisdom, encouragement and challenge I have received from others. What I also love, but don’t often appreciate is how life and community means I have to die. Other people in the church do not exist to aid my journey of self actualization. They are there for me to love, and sometimes love sacrificially. With these concerns, I am not so much disagreeing with anything Hodges has said, but wishing for fuller picture of the Fresh Air life he describes. He says good stuff here, but some of it seems too safe for me. I would give this book a 3/5 and certainly believe that it can be read fruitfully and will likely encourage a lot of people. 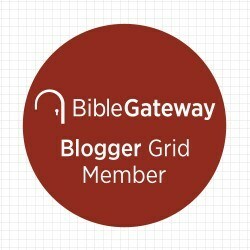 There is a discussion guide available online, making it an appropriate choice for a church small group. Thank you to Tyndale House Publishers for providing me with a copy of this book in exchange for this review. The Late Great John Stott: a kid’s book review. While Protestants do not canonize saints ,we do honor great Christian leaders and hold them up as examples for the next generation. 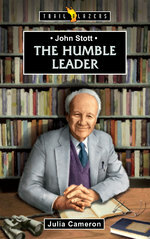 In The Humble Leader Julia Cameron presents the late, great John Stott as part of Christian Focus Trail Blazers series. This is a series of biographies profiling notable Christians for young audience (published under their CFP4Kids imprint). Author Julia Cameron, director of publishing for the Lausanne Movement and the series editor for the Didasko Files, wrote this book in the hopes that readers would come to know more about John Stott, be moved by his love for Christ and would benefit from his writings. The portrait she paints of the man unfolds chronologically. She describes his birth and early family life, his schooling, his conversion and call to Christian ministry under the influence of E.J.H. Nash (AKA “Bash”) and his involvement with Bash’s camp ministry, his student days at Cambridge as a conscientious objector during World War II, his curate and appointment as rector at All Souls, Langham (the church he grew up in), his influence on the World Evangelical Movement, his writing at the Hookses, and his strong sense of personal call which caused him to turn down bishoprics, professorships and marriage in order to devote himself more wholly to the task God had given him. John Stott remains one of my favorite biblical commentators and I have read several of his books but there are parts of his life story I didn’t know until I read this book. I also appreciated several aspects of John Stott’s ministry which have had an abiding influence on me which Cameron explores here. I love his dedication to the life of the mind, beginning in his student days, his involvement with Tyndale House at Cambridge, his involvement with University and college ministries and his many publications. He also dedicated his life to evangelism and promoted social activism and care for the poor. When Evangelicals (particularly American Evangelicals) were failing to thoughtful engage or offer practical care for their world, John Stott was a prophetic voice. This is a ‘youth biography’ and therefore not a ‘critical biography.’ It is written to commend Stott’s life to the young so it does not offer much in the way of historical analysis; instead its tone is sympathetic and appreciative of what Stott accomplished. But that doesn’t mean that Cameron does not challenge her readers toward deeper engagement. The chapters are broken up by ‘fact files’ which share interesting tid-bits and noteworthy aspects of John Stott’s life and challenge readers and she closes the book with suggestions of further reading, thoughts to ponder and ideas to put into practice having reflected on the life of John Stott. My kids are too young to appreciate this book but I enjoyed it. I have not read Timothy Dudley Smith’s two part biography or Roger Steer’s more recent biography. I imagine that they would be better for an adult audience, but if you want to introduce your young ones to John Stott, this is a good choice. 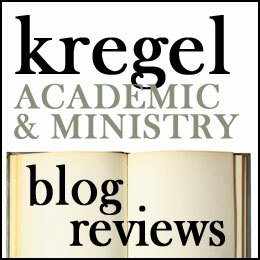 I received this book from Christian Focus Publications in exchange for this review. Posted on June 28, 2012 Categories Books, Children, ReviewsTags book, Book review, Book Reviews, Books, John Stott, Lausanne Movement, Youth Biography. Biography1 Comment on The Late Great John Stott: a kid’s book review.